﻿Bruce Goodman's "Lachlan had a worm farm"
Lachlan had a worm farm. This was a layered cylindrical plastic container where the worms fed on household scraps. They created a magnificent compost for the garden. These worms required little to no care, but Lachlan spent hours looking and caring for them. 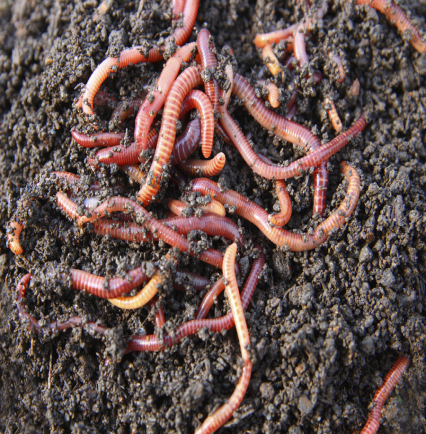 His wife complained that he cared more for the worms more than he did her. “That’s true,” said Lachlan. And it was true. He did. Then one day Mrs What-ever-her-name-was-I-can’t-remember, Lachlan’s wife, upped and left. When he went to bed that night, Lachlan found all the worms wriggling between the sheets. Lachlan made a mental note: when the divorce comes through he’d make sure she got half of everything. He might even throw in some rotten stinking kitchen scraps for free.